When you think of the great wine growing regions of the world, Thailand is not an area that comes to mind. However ,over the past 20 years Thailand’s wine making industry has begun to flourish. The Silverlake Vineyard in Pattaya is one of a growing list of vineyards and wineries in Thailand. Situated in a picturesque location at the base of Khao Chi Chan (Buddha Mountain) Silverlake Vineyard is a popular tourist destination for visitors in Pattaya. In addition to the wine tours, Silverlake has a restaurant, a bed & breakfast, and a small set of shops. It is plays host to a variety of live performances and musical festivals in the outdoor amphitheater and other venues throughout the year. It is quite easy to make a day trip out to the vineyard. Spend a few hours to take a tour, grab some food, and taste some of the wines (or grape juice) that Silverlake Vineyard produces. Established in 2002 by Mr. Surachai Tangjaitrong and Mrs. Supansa Nuangpirom (a famous Thai actress), Silverlake Vineyard is a passion project focusing on melding good wine with good music. They seem to be on the right track as the Vineyard has become a tourist and entertainment destination. There are two tours available, a Vineyard Tour and a Wine Tasting Tour. You’ll be driven around the the expansive grounds of Silverlake in the comfort of a large electric cart. There are plenty of opportunities to take some photos of the great scenery. The Tours take about 30 – 45 minutes. The vineyard tour lets your experience the beauty of the vineyard’s grounds. You’ll be driven by lakes, gardens with beautiful flowers on display, and the European styled Windmill that adorns the grounds. You’ll get a chance to do a little walking around and snap a few pics. The tour also takes you on a tour of their grape juice facility where you will have a chance to sample the product with a free bottle of grape juice. The wine tasting is for adults (over 20) and includes everything in the Vineyard tour plus a tour of the winery and 2 free glasses of wine. Producing wine in tropical climates has its challenges, with the year high heat and humidity that can lead to fungus and rot and the lack of varieties of grapes able to grown in the region disrupting the normal cycle of the vines growth. But Thai wine makers have persevered and have been constantly improving the techniques for growing grapes in the tropics. Thailand has coined a term for their wine growing region: New Latitude wines. This represents that wines grown in Thailand are done so outside of the traditional latitudes of wine regions of the world. Combine your visit to Silverlake Vineyards with a visit Khao Chi Chan (Buddha Mountain). They are right next to each other and doesn’t add much time to your outing. The Silverlake Wine & Grill is a restaurant with great views of the property. You can dine either inside or out on the patio. The menu offers a variety of Italian inspired dishes and wood oven fired pizza’s. They also have a nice selection of Thai food on offer for those who are so inclined. The restaurant is open all week, featuring live music in the evenings. The combination of good food and great views make it an ideal spot for a meal and drink. Wine is not the only thing produced at Silverlake Vineyards in Pattaya. You’ll also find they make a variety of grape related products. You can get fresh grapes, grape juice, raises, jams, and a variety of cookies and pastries made from grapes. There is a small shop at the entrance to the vineyard where you can purchase these items. If you fancy a stay at Silverlake, there is an onsite Bed & Breakfast call The Movie House. 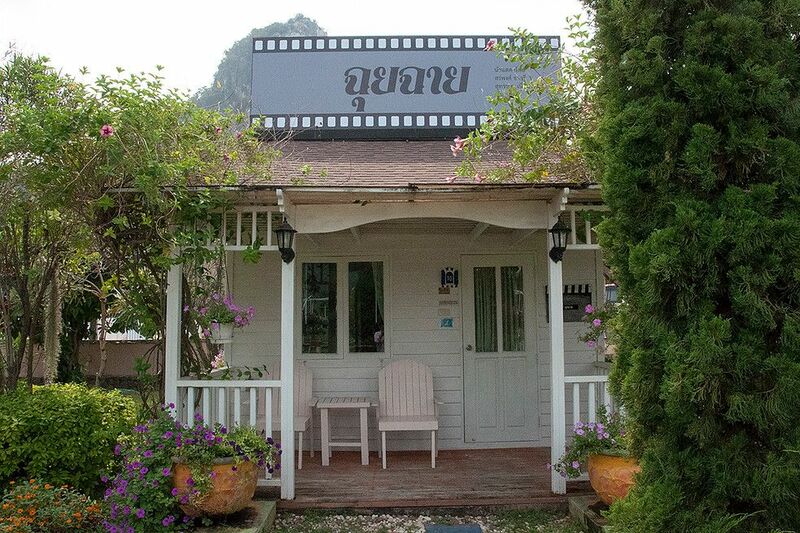 It is several small cottages themed with various items from Thai Cinema. The place was inspired by the acting career of one of the owners. The B&B seems to be targeted towards Thai tourists and reservations can only be made by phone. >>Check out our full list of Places to Stay in Pattaya – All Guest Friendly! Here is a breakdown of the entrance fees, costs, and what you will experience on each of the tours. Location: 31/62 Moo 7, Na Jomtien, Pattaya, Chonburi 20250, Thailand.